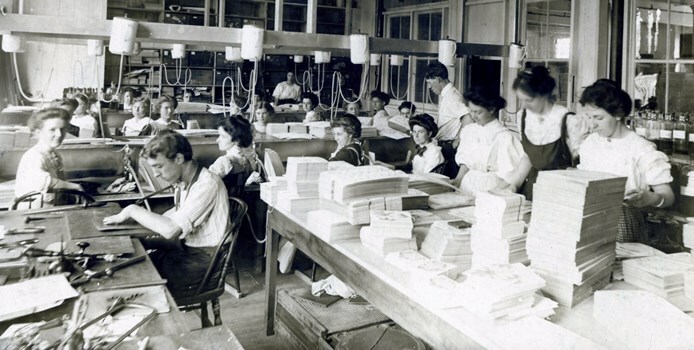 Interior view of George C. Whitney Company with workers, c. 1888. Photograph from the collections of Worcester Historical Museum. “Industry, punctuality and Christianity” was the motto of the man who would make Worcester the heart of the American valentine-making industry. While many would credit this to Esther Howland, the mother of the American valentine, it was actually the work and perseverance of George C. Whitney that would bring about Worcester’s prominence. 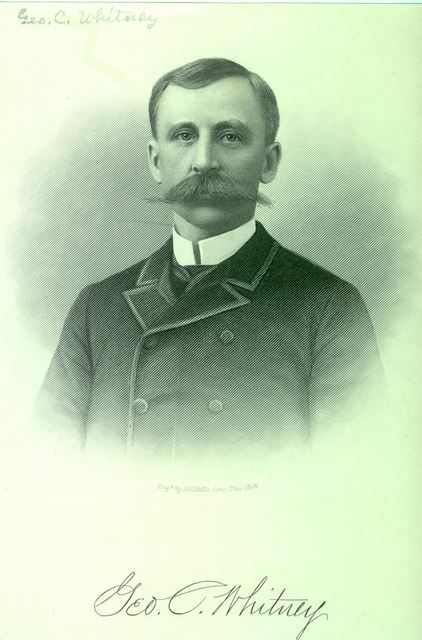 Born in 1842, George Clarkson Whitney was the youngest of the three Whitney boys, his older brothers being Edward Whitney (1834-1897) and Sumner Allen Whitney (1824-1861). His parents died while he was still a boy and it is most likely that Sumner, already 20 when Whitney was born, stood in as guardian. Living in Worcester as a young boy, he attended Worcester Academy. At the age of 19, he enlisted in the Union Army as a private in the 51st Regiment. He served as clerk in the Provost Marshall’s Office under Major Harkness at Beaufort, North Carolina. Upon returning from the war, Whitney entered into business with his brother Sumner, who owned a wholesale stationary store. Sumner and his wife were also hand-crafting valentines as a sideline. The trauma of the Civil War had led to a surge in sentimentality, and valentines provided the perfect medium to express ones feelings. The industry surged. After Sumner’s death, George renamed the business The Whitney Valentine Company and he began to quickly buy up his competitors in the region. Before 1888, Whitney had bought out at least 10 competitors, most importantly Esther Howland and Jotham Taft’s New England Valentine Company. He purchased the New York firms of Berlin and Jones, the city’s largest manufacturer of valentines, and A.J. Fisher Company. A.J. Fisher dealt in a comic, or vinegar, valentines. 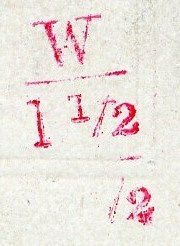 Whitney did not believe in “using love’s gifts as a medium for ridicule,” and did not use many of Fisher’s plates for his own company’s printing. Whitney also added other holiday cards to his business, such as Christmas, Halloween, New Year’s and Easter. He began printing calendars, books, and booklets. In 1898, the company moved to larger quarters on Union Street. The business was incorporated as the George C. Whitney Company. Even with a destructive fire in 1910, by 1915 Worcester Magazine assessed that “ninety per cent of the valentines that are exchanged on St. Valentine’s Day come from Worcester.” In April of 1915, George C. Whitney died. He was eulogized not just for his commercial endeavors, but for his philanthropic work with the Y.M.C.A., the Baptist Foreign Missionary Society, and other religious charitable organizations. Today in 1942, [March 1] a tear drop touched all valentines. 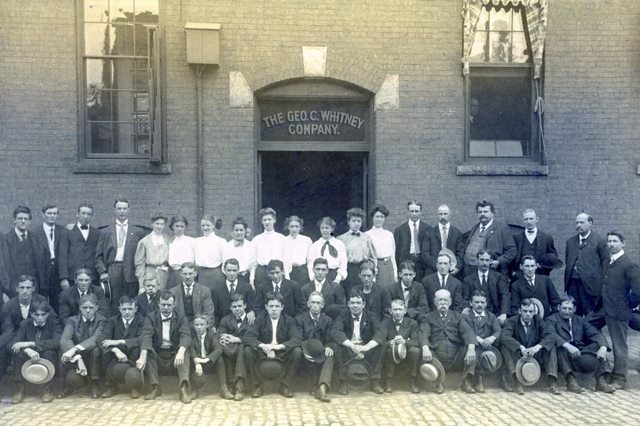 The George C. Whitney Co., 67 Union Street, the largest and oldest manufacturer of valentines in the world, announced it would voluntarily liquidate its business. 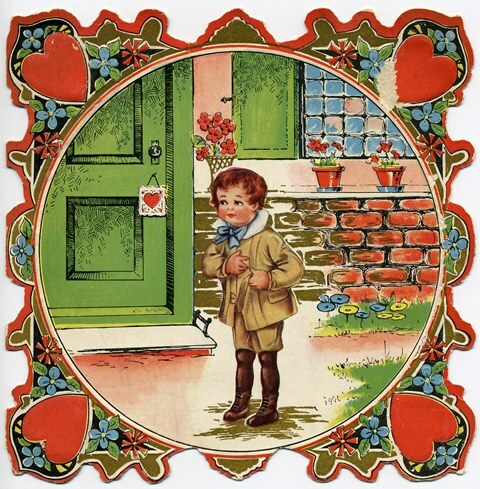 Worcester Historical Museum has many George C. Whitney valentines and other greeting cards with in its collection. You can learn more with a visit to the museum or by making an appointment with our research librarian, or downloading a presentation on the history of valentines in Worcester. You can also send a historic e-card. I have a Whitney Made Valentine that belonged to my mother that she received 90 years ago. I collect vintage Christmas cards and have many published by Whitney. I have been trying to find more information on the company and wish to thank you for this site. I may have an orriginal George C. Whitney bible in my possession. My husband and I aquired it from my uncle, an antique dealer. Would you at all be interested in seeing it? Please contact me at uour earliest convenience. Thank you. I was wondering if you could help me identify the year of publication of a beautiful Whitney card entitled Ninety Years Ago (When Grandfather Danced with Grandmother). I found it in my grandmother’s album. Thank you. I have a card printed by Whitney, I wondered how old it is? Are they worth anything? I have a sign that reads VALENTINES. Geo. Whitney Worcesrer,Mass. It is pressed cardboard and is 5′ x 1′. How old could it be? Thanks. Great article, thank you. Recently purchased an early Whitney Valentine Card and now I have the history behind it.